How can I fix my acne? How can I fix my acne? If you’ve ever asked, how can I fix my acne? This post is for you!! Acne is a condition, If you’re suffering, I feel your pain, and I’m here for you. Acne can be the most frustrating and shame provoking condition on earth, but through education, self love, and the right routine we can all improve our Skin. Pre wedding I was suffering from a nagging bout of acne, mostly precipitated by the stress cortisol surge. I did my best to mitigate the breakouts with diet and skincare but those pesky zits kept on coming! Post wedding I decided to go to a new esthetician to asses my skin and heal! I met one of the founders of Take Care at a skincare event and had a fantastic holistic micro-current facial. I decided to visit their Venice location to deepen my healing journey. The day of my micro-current facial I asked The True Spoon Community on instagram to send over their acne and skincare related questions, below are the questions thoughtfully answered by my treating esthetician Tess Adams. 1) Q: Is glycolic acid good for acne prone skin? A:Glycolic acid can be great for people with acneic skin, it is important however to educate yourself on the strength of the glycolic you are using. Remember, glycolic can come in many forms, face wash, pads to wipe down the skin, toner, mask etc. Although it may seem like 5% glycolic is a low amount, it may be stripping down your skins own barrier system and actually leaving you more vulnerable to bacteria, UV rays, etc. I would consult with your Aesthetician before getting on a regimen. Tess approved my acneic skin for nighttime use 3 times a week. 2) Q: Can acne prone skin use face oil? A: Remember, every person is different, and can react to oils differently! I do understand that when trying to dry out our acne, we want to compensate by putting oils on to relieve that dehydrated feeling. I do think that having oils in certain moisturizers can be beneficial, in my experience however, Just using oil topically can be too heavy for someone currently breaking out. We are trying to let our skin breath & help itself re balance! 3) Q: What is a good skincare routine for someone who suffers from acne but also wants anti aging benefits? A: As we are getting older our hormones change, and we may even be breaking out more that our teenage years. (I know I am!) In order to combat signs of aging while still healing our acne, there are some techniques that can help! Getting regular treatments, Microcurrent, LED light therapy, at home Microcurrent device, Stem Cell therapy… There are a lot of natural non toxic products that don’t involve heavy retinols, I promise! 4) Q: Is it best to pop white heads or let them be? A: Its better to let your Aesthetcian handle your white heads, but there is a way to extract them in the most sterile way possible, as not to spread the bacteria that causes acne in the first place. 5) Q: Are there any safe acne scarring/melasma/hyperpigmetation for expecting mothers? A:For our mom to be that is experiencing melasma or pigmentation problems, Amber LED light therapy can help. (You can order a hand held device or come get a proper treatment) I also offer Plant stem cell therapy that has shown to help signs discoloration! All pregnancy safe! 6) Q: How can we avoid acne scars? Do you have any home remedies for preexisting acne scars? Thank you so much for your questions loves! I hope these answers were as beneficial for you as they were for me! For more about my esthetician Tess Adams check out her bio below. 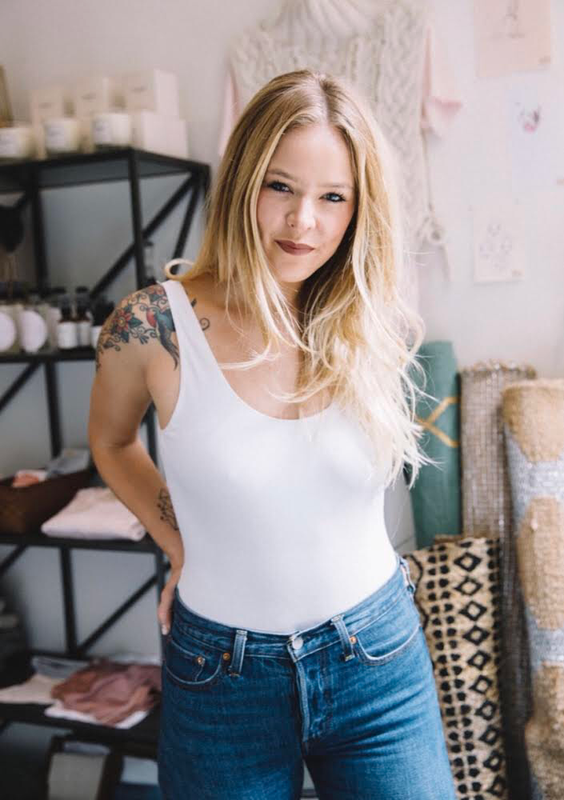 Tess Adams, Aesthetician has been a creative in New York City’s underground beauty scene for over a decade, heralded by industry influencers for her expertise in holistic skincare. Apart of the Take Care Collective, traveling regularly between Los Angeles, New York & the Hamptons. Tess is interested in spreading knowledge about self care and her holistic modalities.